Affordable housing has long been a community priority. Individuals and families need stable housing to access social services and succeed in training or employment. The province has added more than 3,000 new social and affordable-housing units since 2009, and has increased annual investments in repairs and maintenance tenfold in the last decade. While these investments have helped meet some of the need, more social housing -- particularly larger family units with more than three bedrooms -- is required. 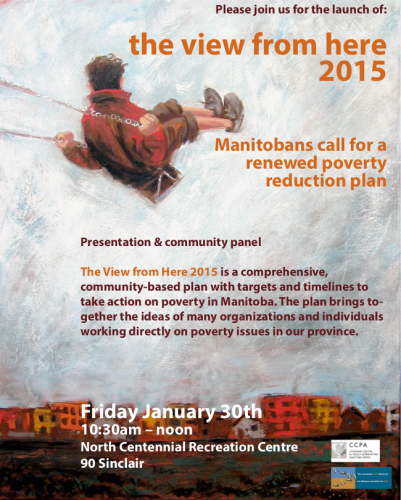 This is a key recommendation found in The View from Here 2015: Manitobans Call for a Renewed Poverty Reduction Plan being released today in Winnipeg. To address persistent poverty in this province, community groups have outlined this plan, which utilizes the work of on-the-ground experts and recent research. The findings are supported by over 90 organizations across the province. It builds on earlier recommendations we put forward in 2009. Given the ever-increasing costs of rent and inadequate welfare rates, in 2009 we recommended increasing the shelter allowance for those on employment and income assistance (EIA). The province responded in 2014 with a new income benefit to be phased in over four years, which provides people on EIA and the working poor with more help to pay their rent. Community groups are calling for this new benefit to be implemented immediately. In 2009, we recommended increases to the minimum wage. Although the province has continued with regular increases, stronger action is needed -- a job should help lift people out of poverty and not perpetuate it. Currently two-parent families with two children who are working full time at minimum wage live below the poverty line. The province is integrating training and hiring for marginalized populations into public infrastructure projects. It is also working with the community on a strategy to grow social enterprises. These non-profit businesses successfully train, hire and support people shut out of the workforce because of issues like a criminal record, a disability, or lack of formal education. A financial commitment is needed to implement this new social-enterprise strategy and bring more low-income Manitobans into the labour market. Poverty reduction cannot just be about jobs and better wages. We need investment in public services such as health care, early learning and childcare. While the province has made great progress on creating childcare spaces, the existing supply is not meeting demand. People also need community-led services that address complex challenges such as addictions, mental illness and low literacy levels. The province provides multi-year funding to organizations that deliver these social services in the communities where low-income people live. This support should be expanded to more organizations providing effective wrap-around services. Many are disappointed Manitoba's poverty rates are still too high, but statistics do not immediately respond to changes in government policy. 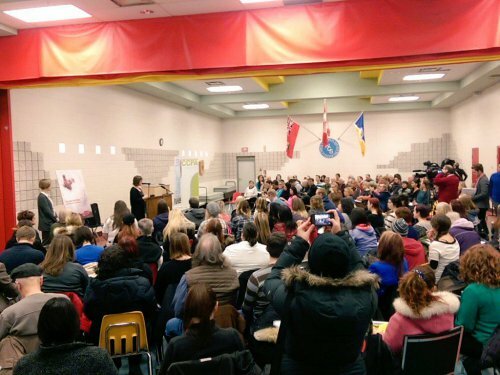 Manitobans who work with individuals and families in poverty witness incremental effects daily and are confident we are on the right path. They know many Manitobans would be worse off had investments in recent years not been made and that even bolder action is needed if we are going to see more significant improvements. We need the province to build on investments that are making a difference. Today's release of The View From Here 2015 provides a renewed package of comprehensive actions for reducing poverty. The report is based on research and consultations with individuals and organizations who know what works. This comprehensive approach will help reduce increasing costs in health care, justice, social assistance and child-welfare systems as poverty is inextricably linked to these systems. Community groups hope this plan will provide a renewed foundation for future government action to reduce poverty in Manitoba. 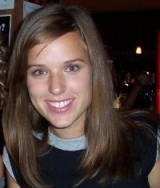 Kirsten Bernas is Research and Policy Manager with CCEDNet in Manitoba. She received a BA (Honours) in Economics from the University of Manitoba as well as an MA from the Norman Paterson School of International Affairs at Carleton University in Ottawa. Kirsten represents CCEDNet on the Canadian Centre for Policy Alternatives' Alternative Federal Budget Steering Committee, Make Poverty History Canada's Steering Committee, and the Right to Housing Coalition's Provincial Committee.